Plainscape, is a wordpress theme is premeditated by Srini G. As the name itself suggests Plainscape is a clear and lucid appearing template. This theme seems very neat and pacific due to the white backdrop. The black and blue colored fonts on this template seem very classy as well as professional. The header is in unambiguous blue, bold and outsized fonts. Navigation bar in inclusive of six titles that link essential pages. A sharp edged search area looks very suitable on the theme page. 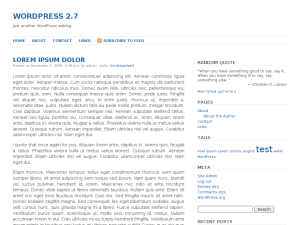 It is a two columned fixed width theme consisting of a side bar and content area. All the relevant and useful information is unequivocally mentioned on the main page that would definitely prove very aiding for the reader. 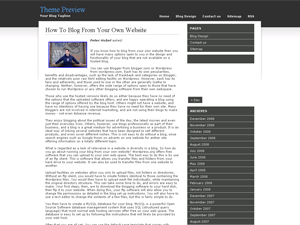 A two columned theme with a design similar to the original wordpress theme named as wordpress.org. 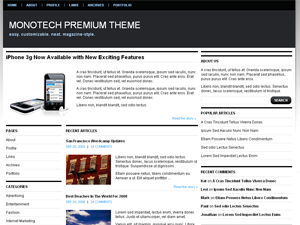 The theme has a large header with two different color schemes of dark grey and light blue. The header features a traditional navigation bar that displays the various categories included in the website and a unique search area in the top right corner. The content area and the sidebar of the theme has a simple white base with blue and black colored fonts that makes the theme look simply authentic and sober. The sidebar has black colored sidebar titles with blue colored links to the information displayed in the website. Pinkbird wordpress theme is a simple, clean and elegant wordpress design. It is really minimalist with only one image of a pink bird sitting on a curved branch. The rest of the page is pure white. 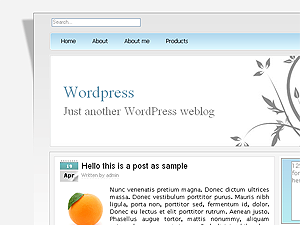 This is a 3 column wordpress theme. 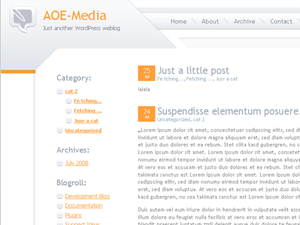 The main content area is placed on the left side while the two sidebars are on the right. 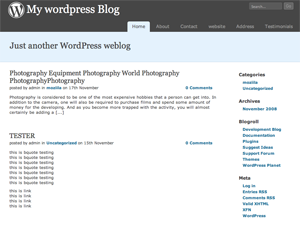 The middle sidebar is wordpress widgets compliant. 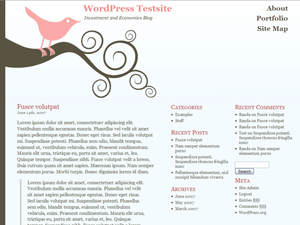 Pink Bird wordpress template was designed by Randa Clay. If you’d rather change this theme to work fit in 800×600 browsers, it’s easy – just follow the directions in the Stylesheet file. Any repeating vertical background image will work with this theme. 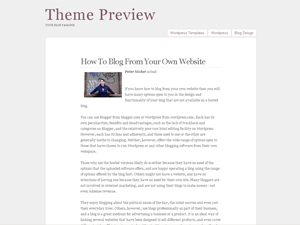 To change the background image, simply upload the image you’d like to use to the images directory of the theme. and change ‘background.gif’ to the name of the image file you’d like to use. We recommend you don’t use one that is too wide if it is very dark, as the transparency effect will cause the text in your posts to be difficult to read. Dropshadow Worress theme was designed by Brian Gardner. It’s a simple, clean and elegant 2 column wp design which is mostly white with a touch of gray and black. The header is gray and it looks like the main content area is in a frame placed “above” the rest of the page. 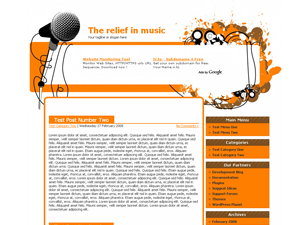 The main background and main content area are white. The sidebar is located on the right side and is gray. Pages links are in the top right corner of the header. 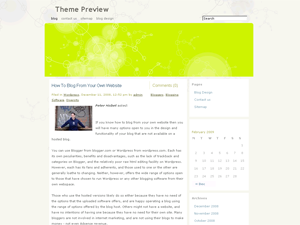 This WordPress template is well suited for just about any type of blog. 1.) Unpack this archive in your wp-content/themes/ directory. 2.) Go to Admin area of your WordPress and select Appearance.